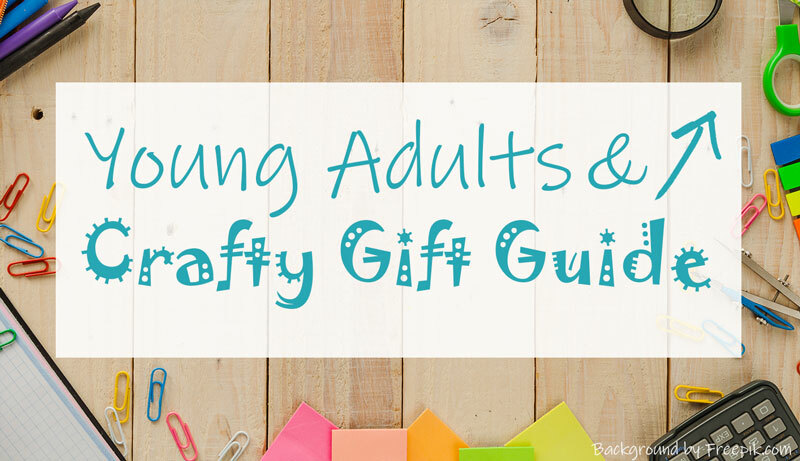 The final age range in our Complete Crafty Gift Guides for Everyone Series is Young Adults and Beyond! This age range is where I really started getting my feet wet in the various craft sciences. There are so many amazing kits and resources out there to serve as a tasting platter of creativity. I used to always find myself wanting to try something new, but having no idea where to start or what to buy. That’s where are all these fun “supplies included” gifts come into play... try it before you go all in. You’re giving the gift of variety, self discovery, and a healthy dose of challenge. When you step outside your comfort zone you stand to discover a whole new world! 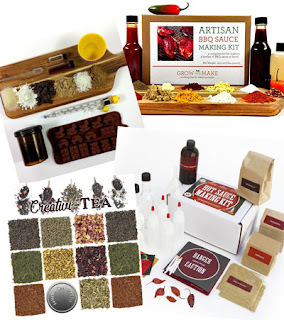 This is obviously our biggest age range yet, so I am going to try to cover kits for fun smaller projects and tech for those crafting veterans who are ready to take things to the next level. Mmm... delicious. Let's begin. Needle felting. This is one of those hobbies that is high on my hobby wish list. I have always wanted to try it, but I haven't taken the leap just yet because I am still recovering from pregnancy/mommy brain. (You do recover eventually.... right?) I have, however, gifted several small sets to friends and needle felted vicariously through them. These Artec360 Kits are particularly squee-inducing and surely worth a gander. From their beginners line, this Cactus / Succulents Kit is adorable and every fairy's dream garden, but wait until you see this Stretching Kitten or the Swinging Rabbit. I mean, I can't even. Their full line is here, and it includes Christmas crafts! 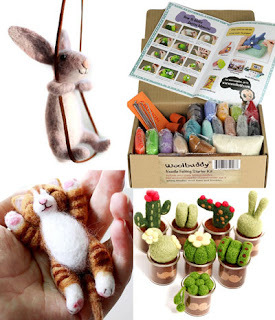 You can also snag this awesome Needle Felting Starter Kit by Woolbuddy which features a ton of supplies and step by step instructions for a variety of projects. Hand Lettering, Adult Coloring Books, Brush Tip Pens--oh my! Have you ever watched those hypnotizing videos of people mastering hand lettering and making it look easy peasy lemon squeezey? Hand Lettering is super popular, and there are lots of fun kits and amazing pens to help you on your way to gorgeous personalized art. 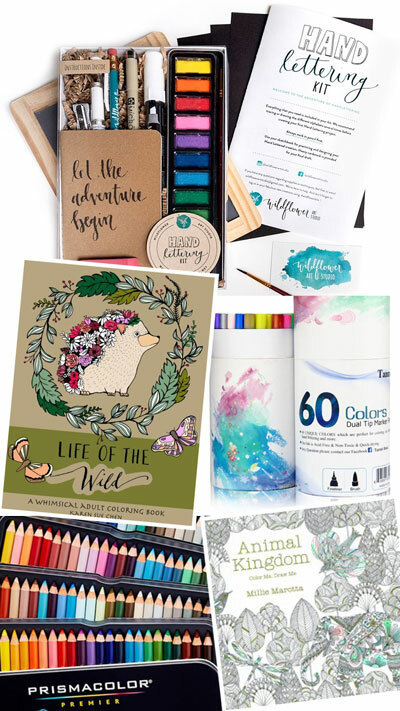 This Hand Lettering Kit by Wildflower Art Studio has everything you need to get started including a watercolor set, paintbrush, chalk lettering supplies, and so much more! You can also try your hand (lettering) with this gorgeous set of 60 Brush Tip Pen by Tanmit. They come in a cute little container that would be perfect as a stocking stuffer and they would pair up perfectly with an Adult Coloring Book. Adult Coloring Books are enjoyable, gorgeous, meditative books that feature gorgeous intricate designs. I have thoroughly enjoyed working through Millie Marotta's "Animal Kingdom" with my "treat yo self" set of Prisma Colors. (Am I the only one who has been obsessed with these since grade school?) I've also found that gel pens like this giant set of 120 Shuttle Art Gel Pens work wonderfully and can't wait to try them out on the adorable "Life of the Wild - Adult Coloring Book" by Karen Sue Chen. Bust out the yarn because it's time to decide: are you Team Crochet? Team Knit? Team Weaver? There is only one way to find out, and I'm here to help you with lots of great tools and adorable kits. First, we will start with crochet. My mom taught me how to crochet at a young age, and that's probably why it is and will always be my favorite. 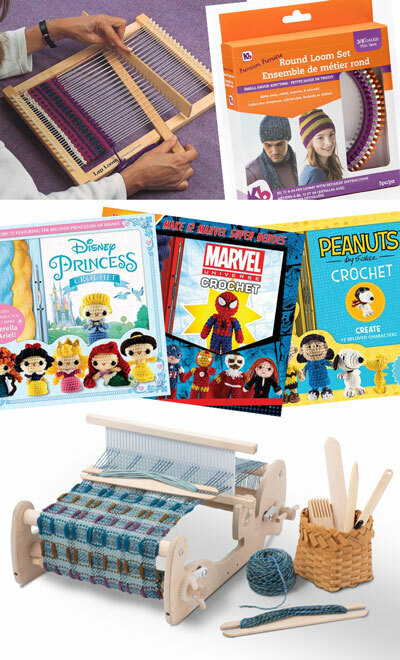 Crochet kits offer all sorts of super cute projects including these adorable Disney Princess, Marvel, and Peanuts kits. There is an entire line, and they are all super cute and sure to please the Disney fan in your life. Next up is knitting! My mom taught herself how to knit, first starting out by creating hats on these neat knitting boards and then moving over to ye ol' knitting needles. She loved the speed of the projects, and I looooved the results. Once again, I’m running out of space and I still have about 30 browser tabs open full of ideas. So we are going to wrap this up with the juiciest category yet... Craft Tech. All those awesome gadgets and gizmos that make even the biggest projects more manageable, and dare I say it? Fun! I have a serious weakness for craft tech, y’all. 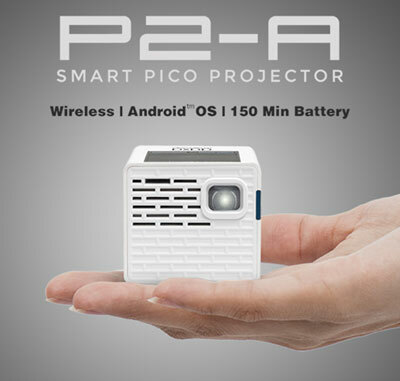 First off, the Pico Projector. Perfect for the artist in your life who works in both tiny scale and big, this baby is small enough to sit in the palm of your hand, is super bright, has a fantastic picture. Bakers love this projector for taking their detailing game to the next level. Bonus Points: projectors are helpful for a variety of projects including murals, wood working, and just plain fun. Movie night under the stars? Um... don't mind if I do! 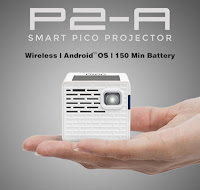 Oh, by the way, this Pico is WiFi and Bluetooth friendly, so no additional cords needed! It even has its own touchpad and browser, but you may need to snag a little tripod (and power bank depending on how long your movie marathons usually last). Now, let's talk about the sewing machine(s) upgrade! First, one of my favorite tools, the serger--if you don’t have one, you need to know: the ease and speed that a serger can add to your projects is amazing! It’s absolutely mandatory for sewing knits, and it can turn out blankets and all sorts of projects in just minutes flat. The only learning curve is threading that sucker, but that’s what YouTube tutorials and therapy are for. (Just kidding! It's not that bad.) I love both Janome and Brother sergers like this 1034DX. Machine Embroidery brings a whole new level of detail and customization to your projects. And I'm happy to report that embroidery machines have come a long way from the days of using third party card readers and software that only worked when you were perfectly balanced on your head. What you are going to want to pay attention to is hoop size, design transfer (usb etc), and licensing. 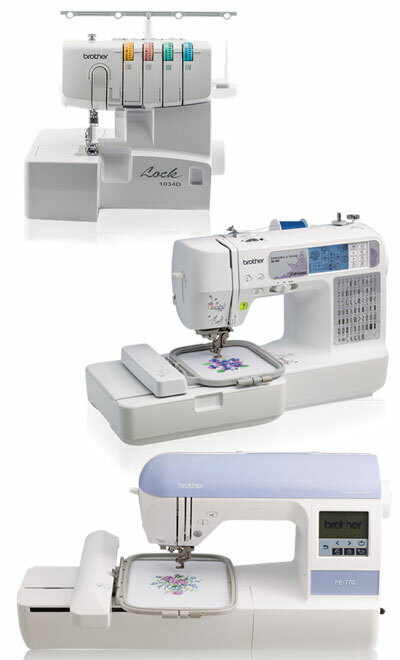 This Brother SE400 is a sewing machine / embroidery combo machine that comes with Disney designs and offers the basic 4 X 4 design size, whereas the Brother PE770 is a professional grade, embroidery only machine offering a whooping 136 stitches, much faster stitching, and--most importantly--a larger, more flexible 5 X 7 design area. You can bring your own designs to both of these machines as well as purchase additional Disney designs. Next up: The Battle of the Cricut vs the Silhouette. I am grateful on at LEAST a monthly basis for my amazing Silhouette Cameo. This magic multi-craft machine has helped me DIY my way through 6 years of complete birthday party decorations, over a dozen batches of custom made invitations/cards, t-shirts, stickers, temporary tattoos, custom dish towels, felt projects, school decorations, art projects... I could go on and on (as I have proven by this ridiculously long post). Silhouette offers a variety of supplemental gadgets to help you take your cutting game to the next level including the Mint for making stamps and the Curio for etching, embosing, and cutting thicker materials. They even have a 3D printer. Cricut, tired of sitting on the customization sidelines, seems to have really brought it with The Cricuit Air 2, but The Cricuit Maker is what really blew me out of the water. The number of materials it can cut with virtually no prep is amazing. No more backing your fabric and then fighting the machine to process it without destroying it. You can even cut wood! I haven’t tried these new Cricuits personally, but I will say they look NOTHING like your grandma’s Cricuit of yore—wait, am I the grandma in this comparison? Ugh. Anyway, you will find a tremendous number of starter bundles available for either machine, and which one suits your fancy will depend entirely on what type of projects you want to start out with. Eventually, you’ll try all it’s features because that’s what crafting is all about. And then in true “if you give a mouse a cookie fashion,” you’ll be back to look at the aforementioned accessories, maybe a nice back-lit light pad, the Cricut Easy Press or maybe just go all in on my favorite affordable heat press, the PowerPress. Oh my, the slope, it’s a slippery one. But don’t worry, you’ll be landing on a bed of wool roving, next to a waterfall of heat transfer vinyl, listening to the melodic sounds of your multi machine cutting all your worries away. Friends, you've made it to the end of this post! Pat yourself on the back on a job well done. I won't inundate you with any more gift ideas here, but don't forget to go over to my FULL Young Adults and Beyond List on Amazon for even more gift ideas. I will continue to update it with new ideas as I come across them. 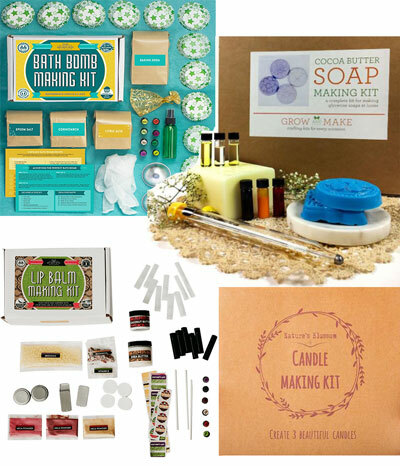 If you still find yourself thinking “yeah, but I could put together something better” then I fully encourage you to slap together your very own Crafting Kit! Make a list of everything you use to get the job done, and balance the kit out with some affordable supplies mixed with the brands you love. Sure, there’s tutorials online and videos aplenty, but nothing beats a good book full of tips, tricks, and beautiful pictures. I’ve included some of my favorites on my Books for Crafting and Creativity List, and you might just find one that makes the perfect finishing touch for your own DIY Kit Gift!